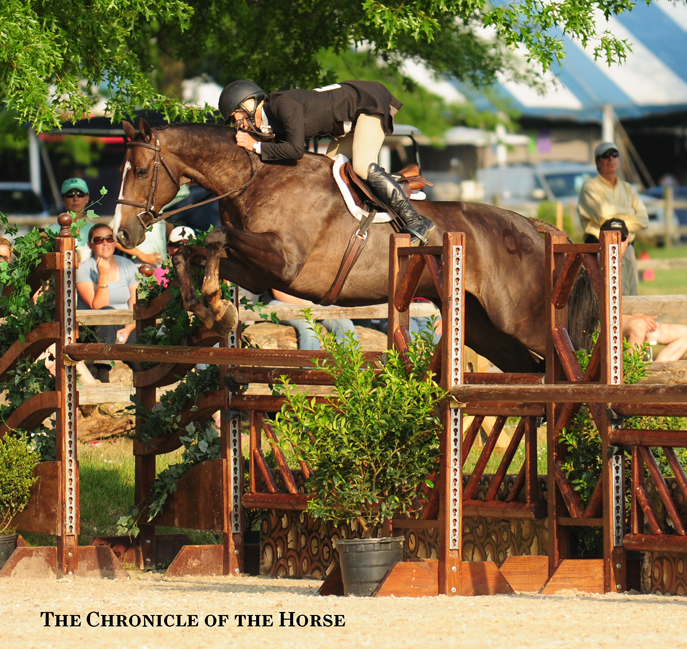 If you’re a Chronicle fan, you already know who the top contenders are for this year’s USHJA International Derby Championships, and you’ve probably already picked your favorite among the regular winners. You don’t need me or anyone else to argue why you should join Team Brunello, root for Jersey Boy for a second consecutive win, or cheer on Inclusive. 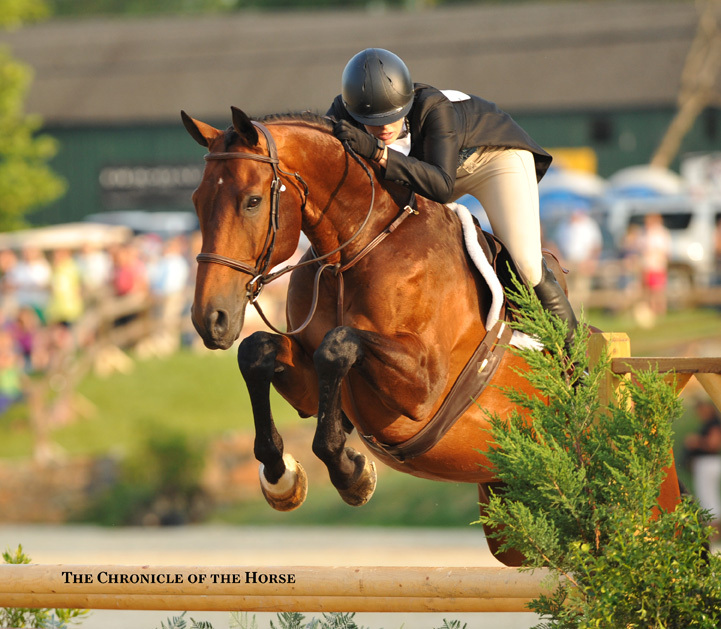 But at last count there were a record 97 entries on this year’s start list for the Aug. 16-17 event, which means there are all kinds of interesting contestants coming to the Kentucky Horse Park. There are plenty of special competitors to look out for and not just because they’re favored to win the top check. 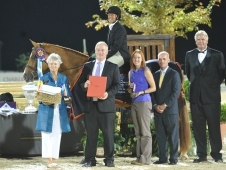 So find one who fits your style, so you can cheer on a special someone whether you’re watching from the Kentucky Horse Park or online at usefnetwork.com. Scroll down to hear the other Chronicle staff weigh in as well, and add your own favorites in the comments. If you’re looking forward to this year’s event, be sure to check out this year’s Aug. 12 Chronicle’s Derby Championships Preview issue. We’ve compiled a roster of all the competitors (with Bill Moroney handicapping the field) and recruited Colleen McQuay to give us the skinny on this year’s new format. There’s a photo spread of Louise Serio’s Derbydown and a candid Q & A with self-proclaimed derby man Larry Glefke, on top of all your usual Chronicle goodies. We’ll have loads of coverage during the event, so check back all weekend at chronofhorse.com, and we’ll have full coverage in the Sept. 2 issue. Why Charlie Brown and Peter? I’m usually lucky enough to attend a lot of derbies year-round, but this late spring and summer I stayed closer to home. I watched an awful lot of videos of rounds in the meantime, and this classic round of Charlie Brown and Peter Pletcher is one of my favorites. 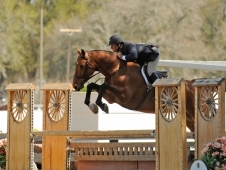 “Peanut” is a recent convert from the jumper ring, but he certainly doesn’t look like it. He looks like a perfect partner for Peter to finally claim the top check at Finals, and I can’t wait to see him in person. Check it out for yourself. Why Rose Hill and Jen? 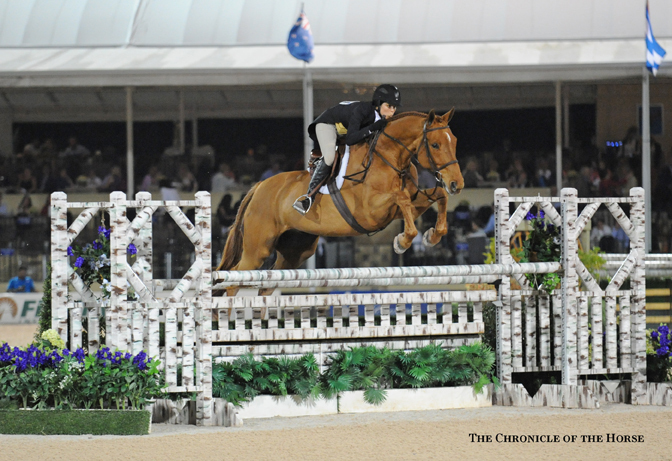 If there was ever a superstar hunter pedigree, Rose Hill has it. She’s by Popeye K and out of Rox Dene (by Aristos B). Jen Alfano picked out “Rosey” as a youngster on Elaine Boylan’s farm, and she’s brought her along over the last few years to a solid contender. Rosey is a sentimental favorite of Jen’s, named after a cemetery where her late friend Stephen Comunale is buried. 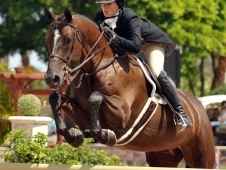 She suffered a setback in May of 2012, when a bout of colic required surgery, and she sat out most of her second year green season. She doesn’t have quite the miles of Jen’s other star at Derby Championships, Jersey Boy, but she’s a lovely, consistent trier. 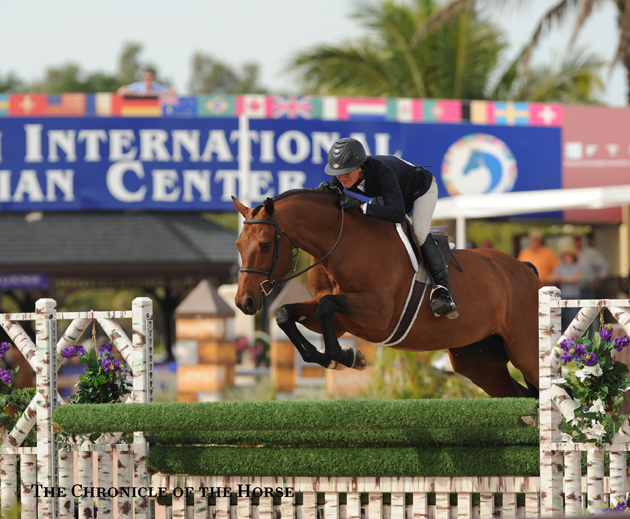 Bonus points: Check out Caramo (ridden by Harold Chopping) and Class Action (ridden by Allison Toffolon). If you’re a Rumba fan (and who isn’t!) 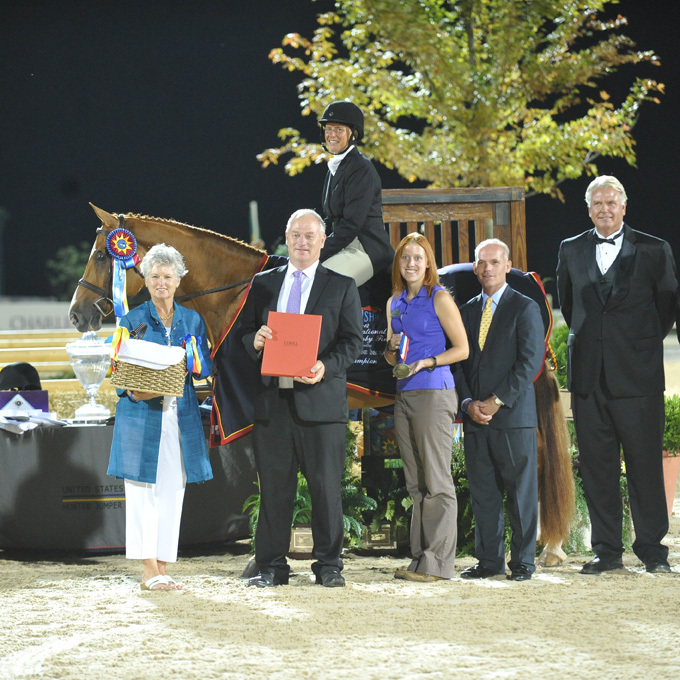 these contenders are by Carano, the same horse who sired the inaugural Derby Finals winner. Why Carson and Greg? Whenever editorial staff at the Chronicle is covering horse shows, we love to share our favorite photos on Facebook, and sometimes it turns into something of a competition to see whose photos can get the most likes. Around indoors season, Molly Sorge and I got a little Greg Crolick/Carson obsessed. I think it started with a super cute leadline photo of Greg and his wife and daughter at Harrisburg, then on to Washington, then the National. Greg is a modest and truly nice guy who always puts the horse first and worked his way up after riding on the IHSA team at Cazenovia College (N.Y.) to running Top Call Farm in Bloomfield Hills, Mich. Carson and Greg paired up right before Derby Finals last year. 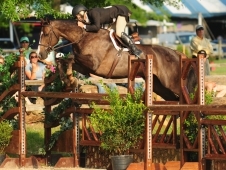 Greg blamed himself for mistakes that kept them out of top contention, but he started to put the pieces together quickly over the season, finishing fourth a month later at the Chicago Hunter Derby, and earning second in the handy hunter class at Pennsylvania National. 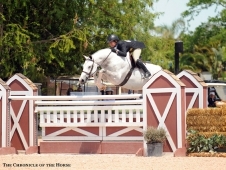 In HITS Ocala (Fla.) this year he spent hours hand-walking and grazing Carson near the main hunter ring to help him feel more comfortable, and sure enough they ended up winning the derby during there and taking the high performance circuit title. 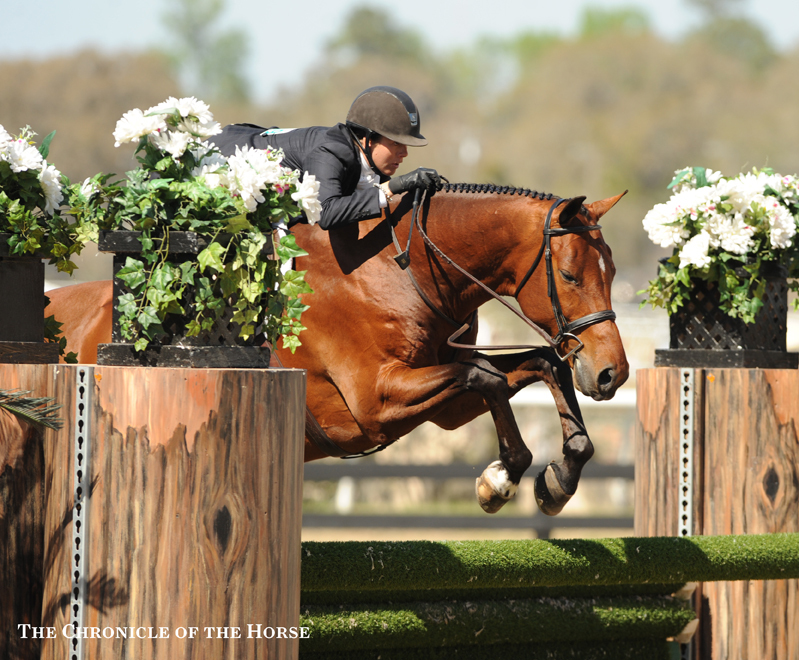 Bonus points: Look for Monterrey and Kelley Cruciotti to advance to Round 2—that junior and her equitation mount have been steadily progressing and earning ribbons on both coasts. Why Mythical and Kelley? 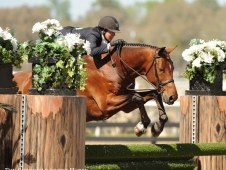 OK, OK. Kelley and “Phillipe” are on a hot streak, especially since they just won at Traders Point and made Kelley into the first million-dollar hunter rider, so they’re not a terribly original pick. But they’re a really fun pair to watch, and a solid bet, despite the fact he’s not her most seasoned partner. To hear Kelley tell it, Mythical drew some interest before Larry Glefke bought him, but everyone dismissed him when they saw his size. (Kelley hasn’t put a stick on him, but he’s not nearly 16 hands.) But with Kelley up, he goes like a phenomenal little athlete. 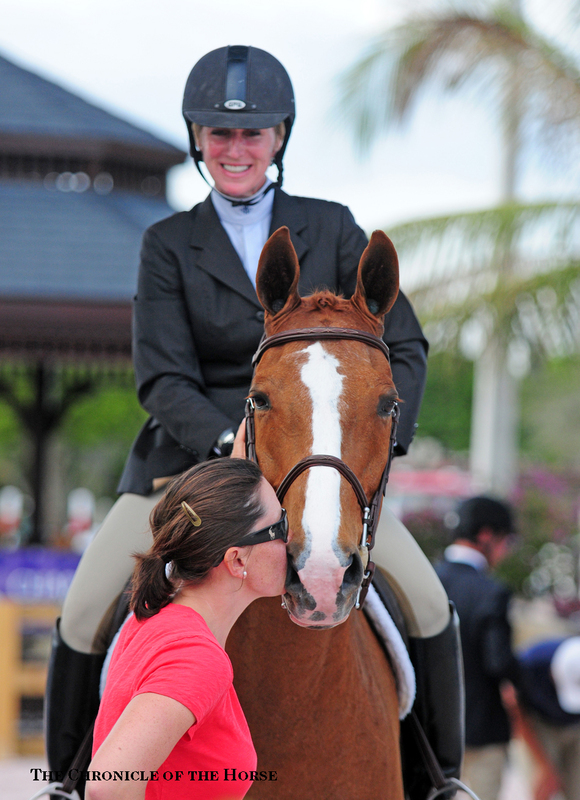 Kelley compares him to Taken, who’s also a diminutive stature, and both horses do lots of extra galloping to stay fit. He’s earned lots of fans so far this season with his incredible technique, and he was one of the first horses Bill Moroney mentioned when I asked who he thought could be contenders. 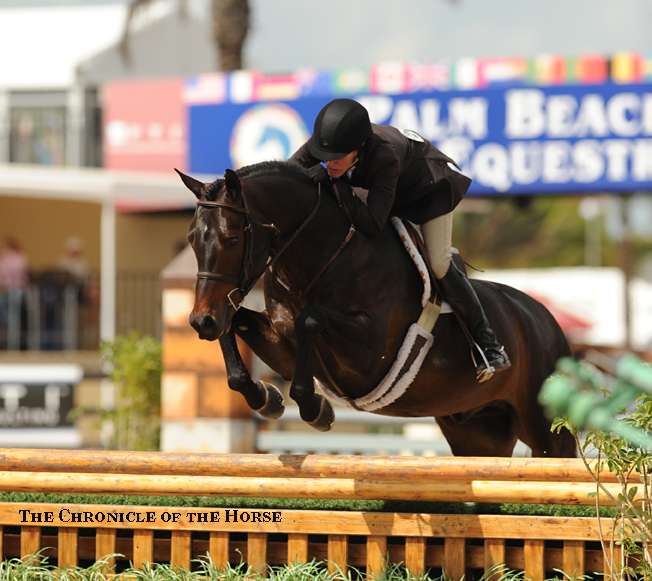 In an age when so many lament the slow pace in the show ring, watch Kelley who knows no fear. She digs in and kicks on, and so many horses absolutely love her for it. Why Sundance and Meredith? If you lined up all the derby entries and told me I could ride exactly one, I’m getting on Sundance. 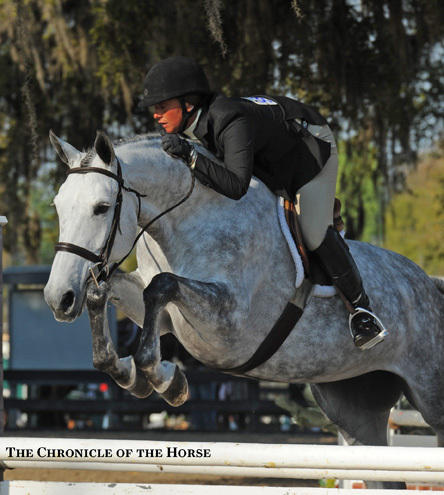 Kristy Herrera (née McCormick) trained Sundance along with her sister Kimberly, transforming him from a spooky horse she hated into one Kimberly would ride to win ASPCA Maclay Finals and Pessoa/USEF Medal Finals. 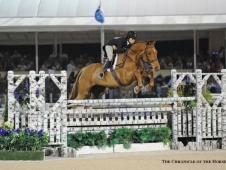 (He won Maclay Finals the next year, too, with Kels Bonham.) He’s been a good contender in the derby series and doesn’t look like anything could faze him. 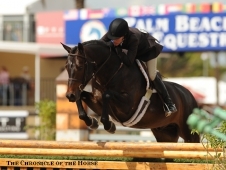 Amateur Meredith Lipke is a strong, competitive rider, and she’s not intimidated by the pros. 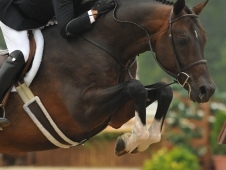 She always gives “Tommy” a positive ride, in the amateur-owner ring or on the derby field. They’ll be a pair to watch for sure. Bonus points: Declaration. It’s always tough to pick just one photo of Declaration to run in the magazine because he jumps every single one in identically perfect form. 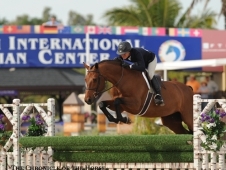 I don’t think I could ride him nearly as well as Scott Stewart or his owner Glenn Senk, but I’d love to try! Why Carhartt and Louise? 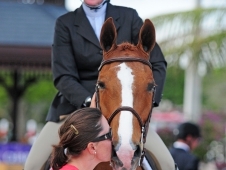 Carhartt will have a special companion at Derby Championships: his “brother” Inspired. He doesn’t go anywhere without Amy’s fellow amateur mount, as he needs the constant support. It doesn’t hurt that he came from Ireland, and horses from there tend to know a little something about bravery over tough courses. Check out this video of Carhartt—then named Loughnatousa McLovin. 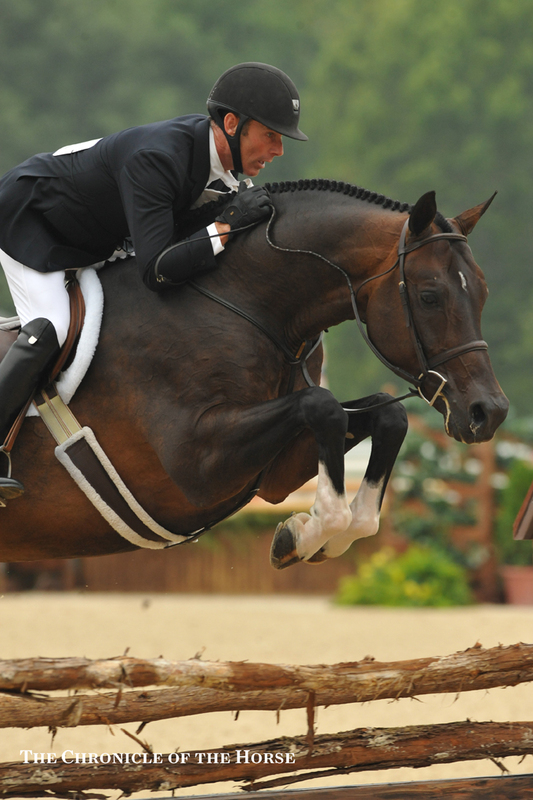 Check out what he could do as a 4-year-old—I’ll bet he’s ready for Derby Championships! I think Louise is due for a great finish at Championships. 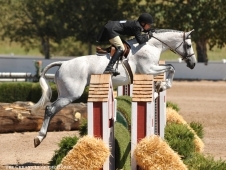 She’s an amazing rider who has incredible feel for a horse. She’s been a strong supporter of the program since its inception and had to miss a year because of injury. But with “Mickey,” as well as contenders like Bonaparte and Cinemagic, I think we’ll be seeing her toward the end of Saturday night. Runners up: Last year’s champion Jersey Boy doesn’t go anywhere without four stuffed chestnut horses with blazes. 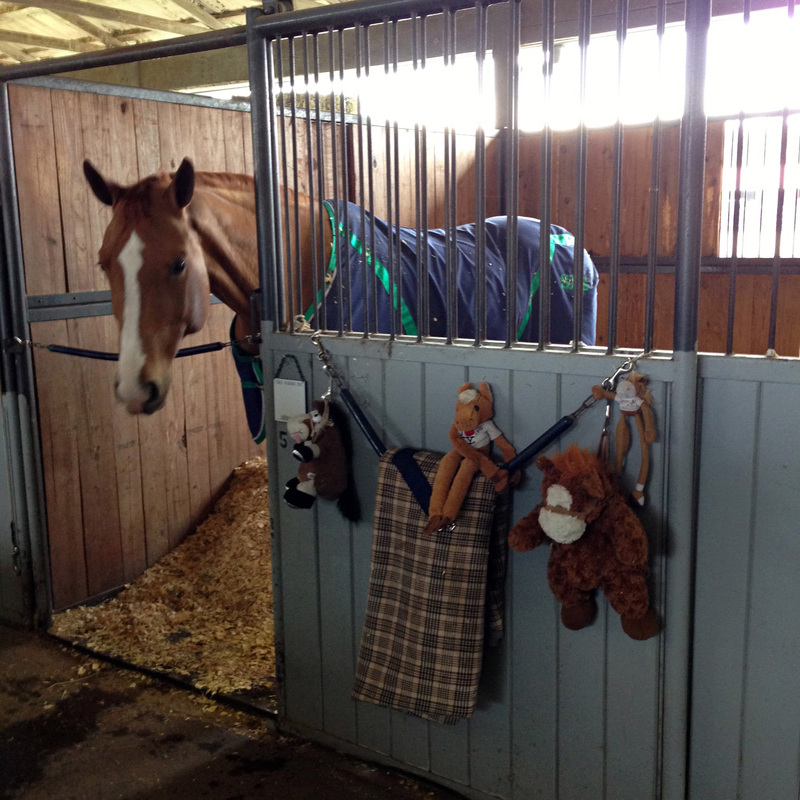 He’s a notoriously obnoxious charge in the barn, in a good spirited way. 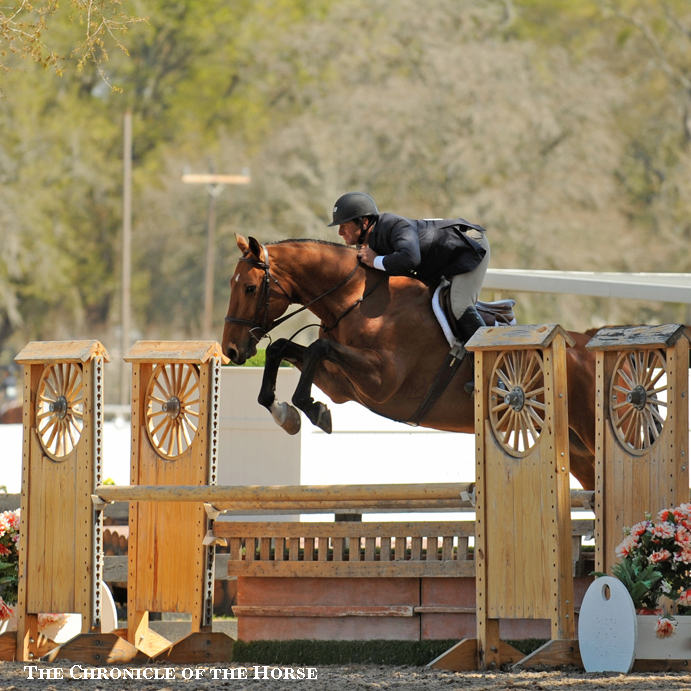 You’ve got to love those overgrown ponies with oodles of talent, and he has an amazing partnership with Jen Alfano. You can count on Jen to bring her A game when it counts. Why Hope? For the last two years, Hope advanced to the final round of competition on Woodstock, only to have him drop out of the running when he spooked at the Jumbotron. Another rider might be frustrated at having traveled from California to have a goofy mistake, but Hope went home and posted on her Facebook page about how she needs a Jumbotron for her Sonoma Valley Stables for Christmas. Hope’s star has been on the rise the last few years, and she’s just the sort of great role model you’d want for the sport. She rides well, never has a bad word to say about anything, and still makes time for an occasional triathalon and her PTA meetings. She’s bringing three great horses to Kentucky, and she could have a shot on any of them, but I have a hunch it’s “Mickey’s” year. “It’s hard to bet against the trio of derby queens, Jennifer Alfano, Kelley Farmer and Liza Towell. And then there’s that Tori Colvin, threatening to upset the applecart with Inclusive. Sure, there are some obvious choices in that mix-up. It’s going to be a derby finals jam-packed with talent and should be a lot of fun to watch. But it’s also going to be anyone’s day. I’m making my two picks based on the riders, and they’re two of my favorite people. I’m going with Amanda Steege, who is making her derby finals debut, on Zidane, and Molly Ashe-Cawley on Kennzo. There are few people more gracious and gosh-darn-it nice than Amanda. She’s a favorite of mine to interview, and it’s been fun for me to see her work her way up through the professional ranks. 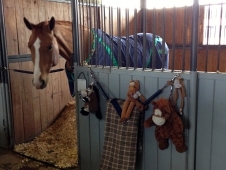 She loves her horses, and her barn just seems fun to be a part of. If a money tree sprang up in my back yard overnight, I’d buy a few nice hunters and ride with Amanda. So, I hope she wins! 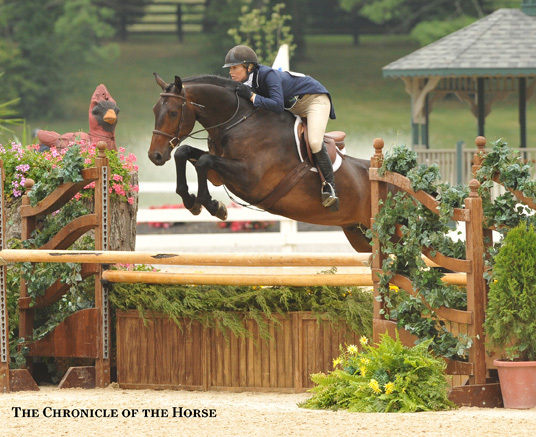 “Temptation, AKA Hershey, jumped straight into my heart the day his photo appeared in our July 8 issue (p. 48) after his win at the $15,000 derby at Skidmore College Saratoga Classic (N.Y.). 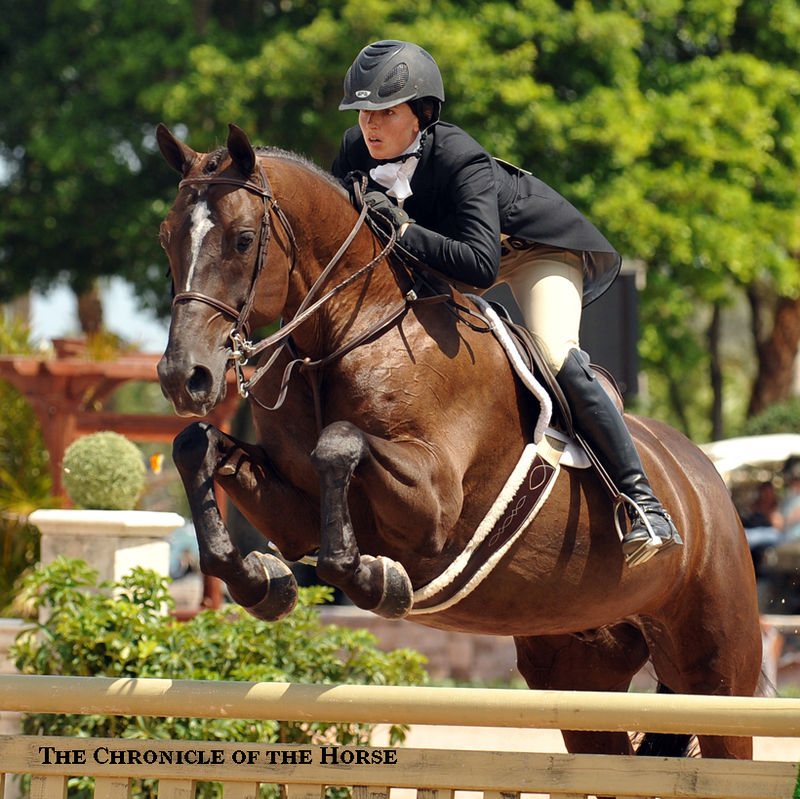 “I love, love, LOVE Listen and have since I saw him at the 2010 Derby Championships where he finished fifth with Kelley Farmer when he was only a 6-year-old. I was mostly impressed, but also a little jealous because my own horse, also 6 at the time, wasn’t nearly as consistent and unflappable. Tori Colvin is now his rider, and she’s on fire. I think they have a really good shot at winning. “This year I’m rooting for Hope Glynn and Woodstock. Glynn had bad luck at Derby Championships last year when Woodstock spooked at the Jumbotron, but she handled the incident with finesse. 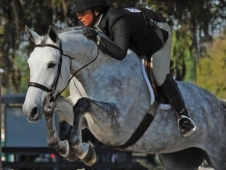 The gelding seems to have put his demons behind him as he rose to the occasion this spring under the lights at the WCHR West Coast Hunter Spectacular at the Flintridge Spring Classic to win the class, just a few weeks after Glynn had a health scare. 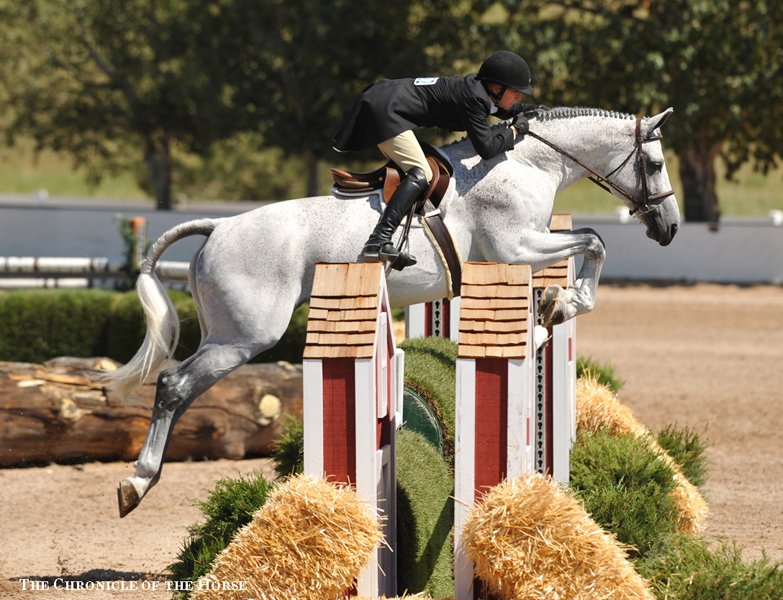 “I had the privilege of interviewing Lillie Keenan after her recent win at USEF Junior Hunter Championships—East. Hearing her speak about her passion for her horses was incredibly inspiring. I had to keep reminding myself that she was just 16 years old during our conversation because she was speaking so eloquently about Skyfall. She is leasing “Beetle” especially for Derby Championships and only has positive things to say about the horse, except maybe about his unfortunate barn name! 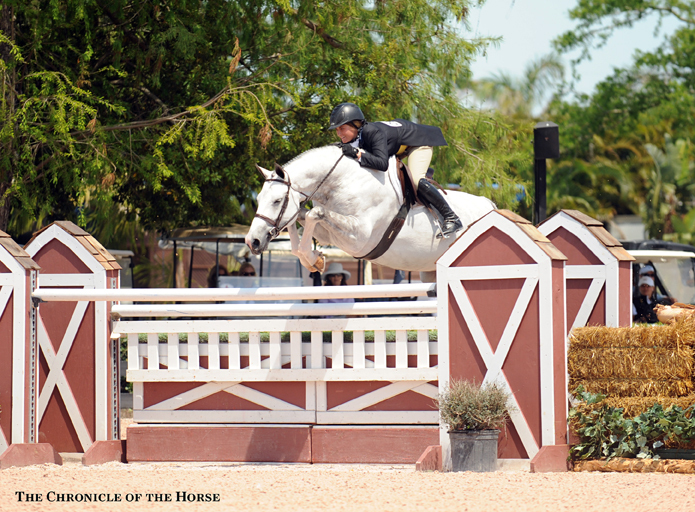 “Natalie Geller is a true horsewoman who works incredibly hard to improve her riding skills and has a big heart for all types of horses from the smallest school horse to the winningest grand prix jumper, including her derby partner Amplitude. Of course, I have to root for a fellow teammate as Natalie and I were on the Connecticut College IHSA equestrian team together. Go Camels! What's Your Derby Championships Style? READ RELATED ARTICLE: What’s Your Derby Finalist Style?